Jadestone Networks, through its partner the World Series of Backgammon (WSOB), has completed online qualifiers in backgammon for the Japan Open. 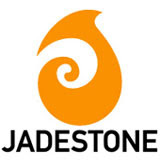 Jadestone is the Nordic-based owner and operator of multiplayer gaming networks GamArena and DiceArena. Online backgammon qualifiers for the Japan Open were run on September 5 and 12 with seats available for the offline event scheduled for September 20 - 22. The qualifiers were open to Japanese players that registered to play via the WSOB website, as the tournament sponsor, and that contacted the host of the event Mochy Mochizuki (the reigning Backgammon World Champion and Team WSOB member) to confirm their participation. These qualifying tournaments were exclusively available in the new backgammon network run by Jadestone. On September 5th and 12th, 2009 the WSOB and Jadestone ran two online qualifying tournaments for this year’s Japan Open. The winners gained seats at the Japan Open worth approx €375 each. The Japan Open will be played offline from September 20 – 22 in Tokyo.